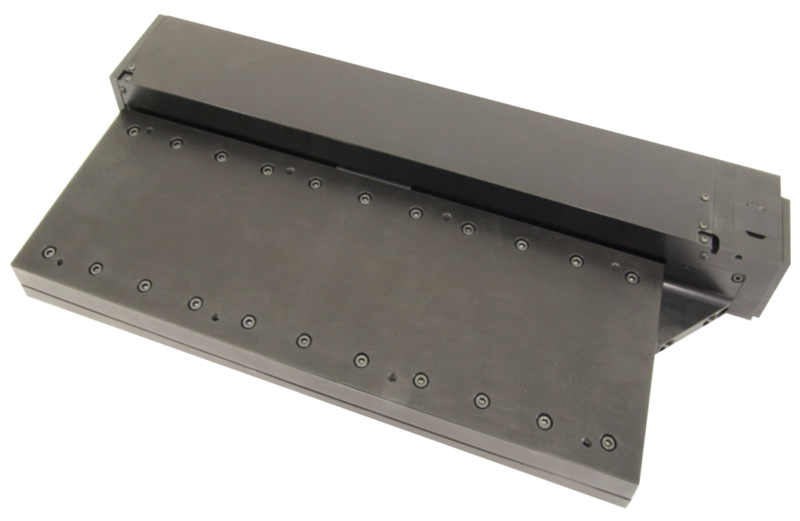 Designed for those applications where height is at a premium, the Series 2750 cross roller stage is a precision linear positioning stage for use where accuracy and quality are important. Using high specification cross roller bearings and a precision ground ballscrew, these stages offer accurate control of position, well suited to microscope operation and optical positioning systems. Limit and datum switches are fitted. All switch, motor and encoder connections are made through a 15 way D Type connector. The Series 2750 is available with stepping motors, or servo motors with encoders as required.